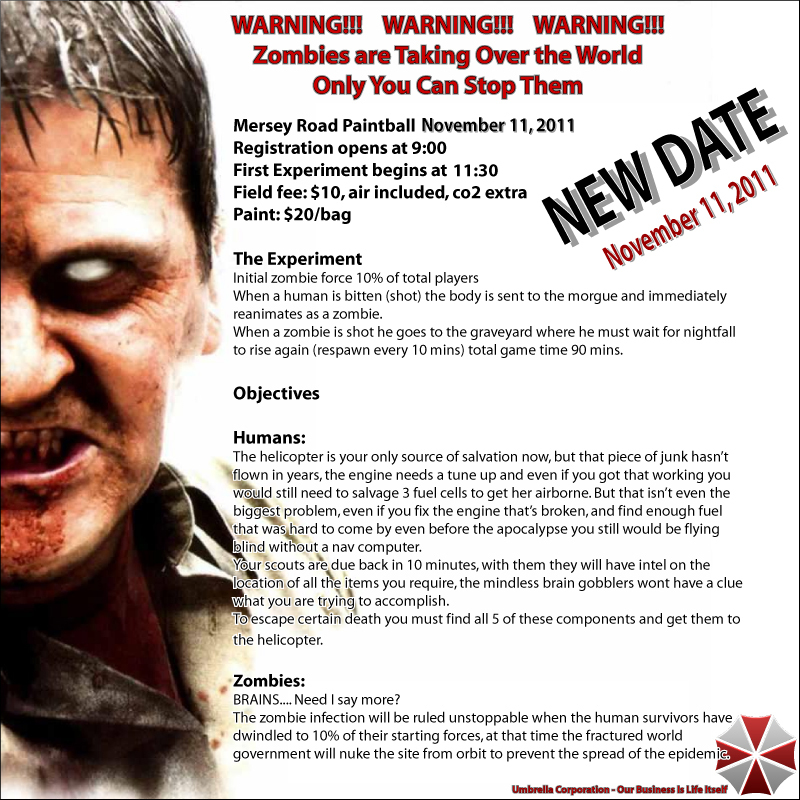 Due to the sever weather the Zombies vs Humans scenario at Mersey Road Paintball has been rescheduled to November 11th. The league used a simple playoff format. The first place team from the regular season played against the fourth place team, while the second place team played the third place team. The winner from each game would advance to the championship. To eliminate any kind of field layout advantage the teams played each other twice, once from either end of the field. The game format from the regular season continued in the playoffs, a team would earn points for every minute they held one of the three flag stations during a 20 minute match. The first game of the day was an exciting match between the Moncton Spartans and the home field Mersey Road Predators. The fourth place Spartans held a slim lead until the last five minutes of the match. At the end of the game the Predators pushed forward, taking all flag stations, winning the match - 185 to 100. In match three the Predators picked their game up a notch to defeat the Spartans - 250 to 60. The point total for both matches gave the Predators a win for the game and a spot in the championship. The final spot in the championship would be decided in the second match between Anthraxx and the NS Mercenaries. The Mercenaries had a large deficit to overcome after the first match but were confident that their previous experience would help propel them to the finals. The Mercenaries experience and poise showed as the team pushed hard from the start of the match to take the initiative away from Anthraxx. The defending champs Anthraxx battled their way back into the game but a rush made by the Mercs at the end handed Anthraxx a defeat. The Mercenaries prevailed but would they earn enough points to overcome the Anthraxx lead from match one and advance to the championship. Soggy teams sat nervously in the staging area, while the referee squad totalled the points from the playoff round. When score sheets compiled and the points tallied, the incredible effort and heroic play of the Mercenaries in match four came up just short. The Mercenaries won match two but Team Anthraxx defeated the Mercenaries by a mere 60 points overall. The championship was set between Anthraxx and the Mersey Road Predators. The bronze medal would be fought for by the Nova Scotia Mercenaries and Moncton Spartans. After a short break to clean the fog out of goggles, retape porting and electronics, the water logged teams took to the field for the final four match climax of the 2011 ATWL season. The bronze medal matches were the closest of the season. The Spartans upped their game with the end of the season in sight, and traded matches with the Mercenaries. The Spartans gave it their all but the former champs were too strong. The Mercenaries emerged victorious capturing the bronze medal. The long season came down to two matches to decide the 2011 ATWL champions. Both the Predators and Anthraxx played a cautious style in first match. It looked like neither team wanted to make a mistake that would cost them the championship. The first match ended with the Predators doubling up on Anthraxx 160 to 80. The final match of the season, and the match that would decide the champion, was the exact opposite of the first match between Anthraxx and the Predators. Right from the opening horn both team charged headlong through the rain into a hail of paint. The match showcased the talent and aggressiveness of Atlantic Canadian paintballers. The final match was a battle back and forth with multiple flag changes, aggressive fire and movement, and bunkering moves. In the end the Mersey Road Predators came out on top to become the 2011 Tippmann X7 Phenom Atlantic Tactical Woodsball League Champions. Prior to the awards ceremony League Commissioner Bruce Johnston of the Tippinators was pleased to see spontaneous of handshakes and back slaps between the players. The first award given out was the one Johnston considered to be the most important, The Most Sportsmanlike Player was awarded to Jeff Barrieau of the Moncton Spartans. “Whether his team was up or down, Jeff gave it all he had every time he was on the field.” Johnston commented, “If you want to know the right way to play paintball, watch this guy [Barrieau]”. For his efforts Barrieau received a trophy, marker and tee shirt provided by PBL Sports. League sponsor PBL Action Sports from Montreal Quebec, also supplied markers and shirts awarded to team captains; Jim Langlois of the first place Predators, Ryan Cox of second place Anthraxx, and Kevin Whynot of the third place Mercenaries. The ATWL’s lead sponsor Tippmann Sports supplied the prizes for the winning teams. 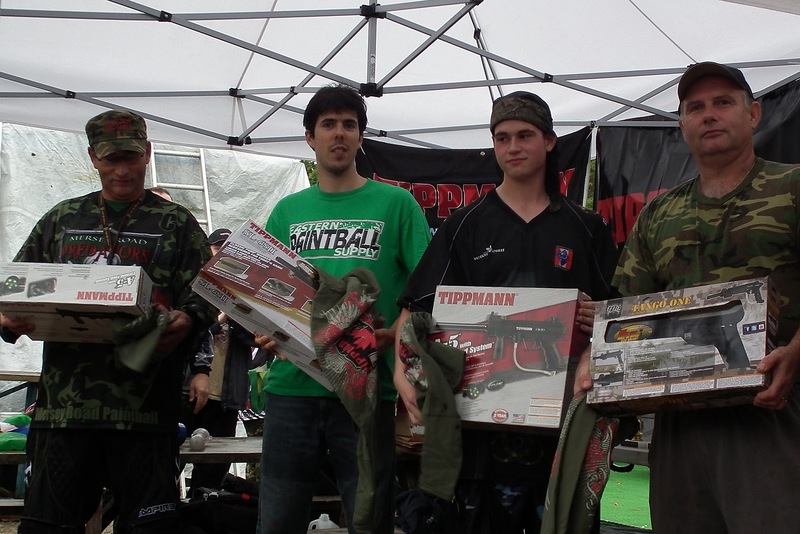 Tippmann provided t-shirts for the third place Mercenaries, digi cam NXe 4+3+3 woodsball harnesses for second place Anthraxx and markers for the championship Predators. The Tippinators would like to thank the players for putting on a great show and the sponsors for their generous support in 2011. The Tipps are already organizing the 2012 season which we know will be even better, rain or shine. The Tippmann X7 Phenom Atlantic Tactical Woodsball League was pleased to have a representative of the Umbrella Corporation come out to the field and dispense flu shots free to any player in the league at event 4.Though the vaccine was free, the Umbrella staff were at a loss to explain why they were all wearing gas masks. Umbrella officials denied there was a connection in the reports of a number of players who received an injection and felt a sudden, uncontrollable urge to play video games designed by Capcom. Any ATWL players who feel any kind of strange side effect are asked to immediately contact the Umbrella Corporation and make arrangements to sign a waiver. The 2011 Tippmann X7 Phenom - Atlantic Tactical Woodsball League season is half over, which means there is still half a season to play the best woodsball in Eastern Canada. The leagues players are taking the summer off to sharpen their skills and get ready for Event III Sept 17th at Overkill Sportz and Event IV Oct 1st - Playoffs and Championship at Mersey Road Paintball. Since the playoffs will be here before we know it the league is in the process of gathering together the prizes for the teams now. League’s title sponsor Tippmann Sports (www.tippmann.com), major sponsor PBL Action Sports (www.buypbl.com), and local sponsor Nova Trophy (www.novatrophy.com) have been incredibly generous to the league and donated over $6000.00 worth of prizes. It is difficult for a woodsballer like me to appreciate how much paintball equipment and prizes it takes to make up $6000.00. When you get everything together in one room it is truly amazing to see that much gear and in exactly how high a regard our sponsors see you, the players. The format change this season means that ANY team has a chance to become the 2011 ATWL Champion and claim their share of over $6000.00 in prizes. It is going to be an exciting end to a great season. Event two of the Tippmann X7 Phenom Atlantic Tactical Woodsball League (ATWL) season was scheduled to be played on Saturday June 18, 2011 at Overkill Sportz, Mount Uniacke Nova Scotia, despite mother natures attempt to wash out the event. Heavy rain and high wind the week prior to the event left the field in less than ideal condition. Thankfully players from the home field team Anthraxx took the initiative, cleared debris, repaired bunkers and addressed any unsafe areas of the field. Event two was expected to be an interesting one because the league plays, rain or shine, and severe thunderstorms and heavy winds were forecast game day. If the forecast held players would have an opportunity to test their abilities in wet weather which requires a significantly different set of skills from fair weather play. Players awoke on game day to hear the forecast had been revised and the rain was due to start late in the day. The improved forecast improved the mood of the players who excitedly prepared for the opening horn. Event two marked the first time updates were fed live to the ATWL’s blog, Facebook and Twitter pages. Players in the staging area, and league fans from around the world, were be able to keep up to date on game scores, flag captures and big plays as they happened. The first match of the day was team Anthraxx against the Moncton Spartans. The Spartans with their new uniforms were in the running for the best dressed team award. Players from other teams were glued to their smart phones watching for live updates to see how the updates could be used to gain an advantage during their games. As the day progressed teams saw the live updates as useful to know the league standings and how they should approach an upcoming game, rather than a tactical tool during game play. A hard day of paintball left all team exhausted from running through the wet field. All teams played well and the final standings were in doubt right down to the last game. When the final horn sounded new teams had taken over the top of the leader board with only 80 points separating the top two teams. Defending champion team Anthraxx started the day strong but lost their edge as the day progressed. Anthraxx unexpectedly fell in the standings from first down to third place by the end of event 2. 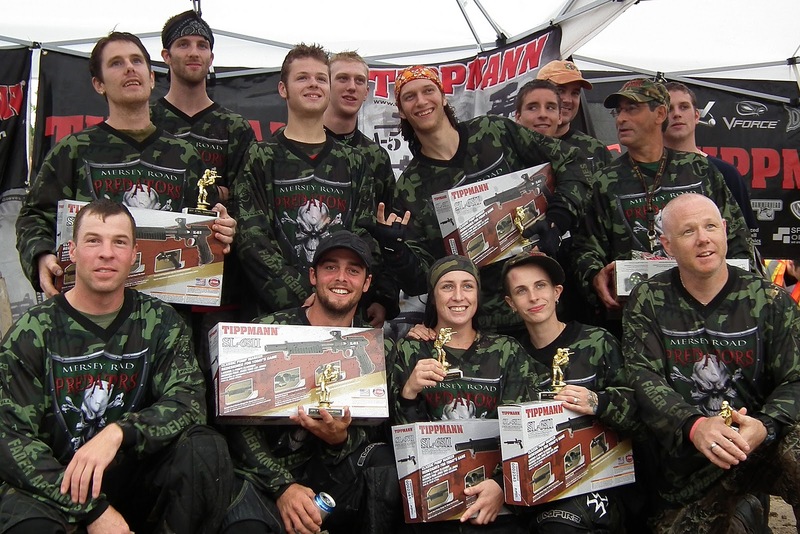 The 2009 league champion Nova Scotia Mercenaries played their best paintball of the season and had taken over the league lead from Anthraxx. The Mercenaries although in first held a very tenuous lead over the Mersey Road Predator close behind. The end of event two marks the half way point of the season. The teams now have the summer off to play, practice and perfect their woodsball skills prior to the start of the run for the championship at event three in September at Overkill Sportz once again. The Nova Scotia Mercenaries are currently leading the Tippmann X7 Phenom Atlantic Tactical Woodsball League, but the new playoff format introduced this season means the championship is up for grabs by any team that has the desire to take it away from five of the best woodsball teams in Canada. Event 2 of the Atlantic Tactical Woodsball League (ATWL) is complete. Thank you everyone for a great day of paintball. The teams fought hard and the results were in doubt right down to the end. When the final horn sounded only 80 points separate the top two teams. Anthraxx makes a dash for the center flag from the start. Player hit just before hanging. HCU takes right flag. HCU's Chris Coolen successfully pushing the center solo. Due to TACsat not attending E2 all games will be move up on the schedule. Unfortunately due to injuries TACSat Paintball has to withdraw from event 2. The field is set up and ATWL event 2 is ready to go tomorrow morning. A special thanks to team Anthraxx for cleaning the debris off the field. Without their hard work event 2 would not be possible. Great work guys. Bruce ‘Charon’ Johnston (68Caliber): Why is a team playing in Canada’s professional xball league, the Canadian Xtreme Paintball League (CXBL), playing in a regional woodsball league? Halifax City United (HCU): We’re a strong believer that to be really good at paintball, you need to be good at all aspects of the sport. Playing woodsball will help us improve some skills that you can’t get on the speedball field. We also like to mix things up a little bit, doing the same breakout time and time again can get repetitive and boring, what better way to mix it up, then be in the woods. 68Caliber: I see a few Halifax City United players at different woodsball, and scenario events. Will this be the first time your entire xball team has played woodsball together? HCU: Together, yes. Five HCU players played together in the ATWL last year, and every event, we would bring out different speedball players to play with us. Each player had the same reaction, this is AWESOME. A few of us also like to attend the annual Risk event hosted by the Tippinators at Mersey Road. However we attend them with a different intent then most players. I try to get the guys to command a squad or group of players, reinforcing their teamwork and communication skills. 68Caliber: I know that you have a few US based pro players who play with you in the CXBL. Is there any chance we might see a big name US player on your ATWL team? HCU: You can never really be too sure about what the future holds. We have some friends that play for just about every pro team out there. This year, we have players from VICIOUS playing with us, VICIOUS is also playing UWL. They actually won their first pro UWL event in Mesquite, NV. 68Caliber: All players are asked to wear matching jerseys to play ATWL. Your CXBL jerseys are not exactly tactical. Can we expect to see you running in red and white this season or will you get something a little woodsier? HCU: You can expect to see us in matching CXBL uniforms at the first event. We’ll see how that works out for us. If, for whatever reason, we can’t blend in to our surroundings we will make the necessary changes before event two. 68Caliber: Most people don’t want to bang a $1300 Ego 11 around in the woods. Will your guys be changing any of your equipment to play competitive woodsball? HCU: Absolutely not. The whole idea of playing ATWL is for our players to get used to playing in different positions, different bunkers, player swill learn nothing if we are using different gear. There’s a reason we all shoot Planet Eclipse markers, we require reliability, accuracy and efficiency, so we shoot what we consider the best in all three. 68Caliber: In xball the playing area is rather confined, and you know approximately where the other team might be. How will you change your tactics to overcome the larger playing area? HCU: Tactics are something I don’t want to get too much into, but the principles won’t be much different. In xball a back center controls your mid and front players, we will use the same idea in the woods, except that we may have two or three back centers. 68Caliber: The ATWL is a ten man league. Most xball teams have two, five man lines. Will your entire CXBL roster be playing woodsball? HCU: Everyone on our CXBL roster, minus the players from VICIOUS, will be in attendance at the first ATWL event. As I mentioned above, it is important to expand on your skills list, and we require everyone to be playing. 68Caliber: Halifax City United players have considerable skill and experience playing xball / speedball. Do you think individual skills will translate into woodsball? HCU: Of course, but like everyone else we’re still learning, progressing, and woodsball is another aspect we need to work on. 68Caliber: What most woodsball players don’t know is penalties in xball can determine the outcome of a game. The CXBL has very strict rules and even fines for playing infractions. How do you plan to dispel the belief that all speedballers are wipers and whiners? HCU: When you play with the HCU shield on your chest, you must play with honesty and integrity. We take our showing on and off the field very seriously. You don’t only represent yourself, but you represent your teammates, your city, and most importantly your sponsors. I can’t comment on other teams, but you shouldn’t see any HCU penalties. 68Caliber: More than once I have heard players talking in the staging area talking about how they can’t wait to “light up” the speedballers. How does it feel to know players are gunning specifically for you, and your team? HCU: Well, I would hope they are. We are the ten players on the other side of the field. I think it adds a bit of fuel to the fire and makes us want to play better. 68Caliber: Come on now, tell the truth. You guys are really out to prove speedballers are better than woodsballers aren’t you? HCU: Absolutely, our entire goal is to remove woodsballers from the paintball equation. Our hope is to beat them down so badly they won’t ever want to come back. [breaks into laughter] I’m just kidding. We are playing ATWL to have fun and work on some team skills. 68Caliber: Is there anything that you would like people to know that I might have missed? HCU: First of all, thanks Bruce for the opportunity, we look forward to seeing you on the field. I’d like to say thanks to all of our sponsors, DSSP8NTBALL.com, KEE, EMPIRE, Planet Eclipse, ProPaintball.com, and GR Paintball. Thanks for your continued support. If you want to read about how we are doing in the CXBL, make sure you check our xball.com or propaintball.com. An expanded field of six teams were ready to bring their woodsball skills to the field in an attempt to capture the 2011 ATWL championship title. "We are excited to have expanded to a six team league." commented Johnston. "This will be an intense season of woodsball." The 2010 Champions Team Anthraxx will come out of the gate strong to defend their title and attempt to be the first team since the Tippinators in 2007 and 2008 to win back to back titles. Nova Scotia Mercenaries, the 2010 runners up, will settle for nothing less than regaining the championship they held in 2009. Mersey Road Predators, are strong contenders for the 2011 title. After a respectable third place finish in 2010, during their rookie year, the Predators have strengthened their roster and built a team ready for a run at the championship. Coming from the Canadian Xtreme Paintball League, Halifax City United, has ventured for the first time from Canada’s professional xball league to the woods of the ATWL. We all eagerly wait to see if xball skills will transfer into the woods. An unknown commodity, the Moncton Spartans from New Brunswick joining the league has made the ATWL a truly regional league. The Spartan players have speedball and woodsball experience, no one in the league knows how they will stack up against the rest of the league. From a group of friends running around the woods on Sunday, to playing in the CX4 xball league and now the ATWL, TACSat Paintball has expanded their roster and sharpened their skills but will it be enough to overcome the best in the Maritimes. The long winter wait was over and the first event of the Tippmann X7 Phenom Atlantic Tactical Woodsball League was held on May 28, 2011 at Mersey Road Paintball, East River Nova Scotia. For the first time ever the ATWL’s site, Facebook and Twitter were updated live from the field. Significant field developments were updated while the games were in progress plus official games scores were added before the next two teams took the field. 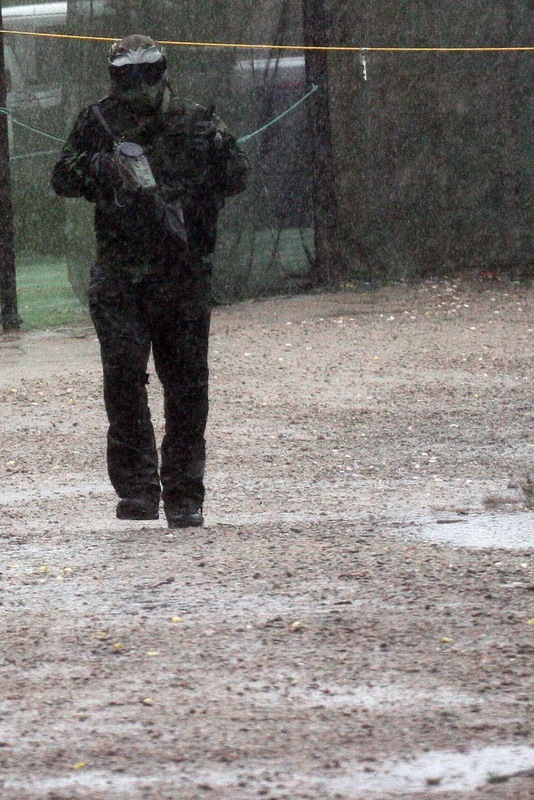 "ATWL event one was some of the best woodsball I have seen played in a long time." stated Chris Landry, ATWL Head Referee and Tippinators player, "If players are this good now I can’t wait for the rest of the season." After a long day of battles and intense paintball action, the teams with previous competitive woodsball experience fared better than teams new to the league. "You could see the experienced teams moving more confidently around the field." Johnston commented on the play during event 1. 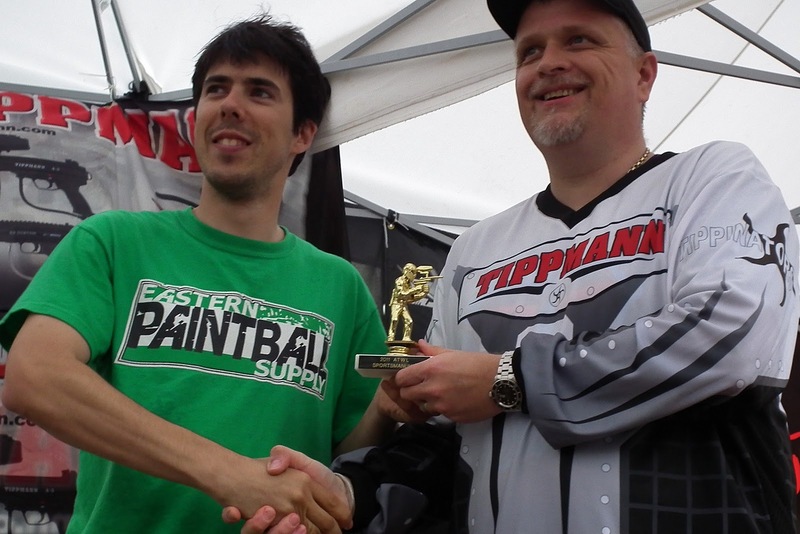 "There is a steep learning curve in competitive woodsball. I am sure by the playoffs and championship all teams will be running at full speed." Be sure to follow the league on Twitter or friend us on Facebook to get up to date game day information and scores. Anthraxx captures all 3 flags. 5 mins left. The wait is finally over and the schedule is complete. 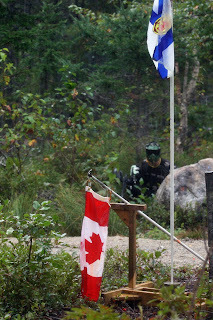 Overkill Sportz in Mount Uniacke Nova Scotia has agreed to host event 3 the Tippmann X7 Phenom Atlantic Tactical Woodsball League on September 17th, 2011. Unfortunately due to a scheduling conflict that cannot be overcome team Tactical Insertion ;) has withdrawn from the league. It is said that when a door shuts a window opens, due to this unforeseen conflict the first ever New Brunswick team was able to fill the vacant spot. The X7 ATWL would like to welcome the Moncton Spartans to the league. With less than a month to the first event, we know that the Spartans enthusiasm at joining the league will translate to the teams performance on the field. The annual Black Friday game was played at Mersey Road Paintball on April 22, 2011. 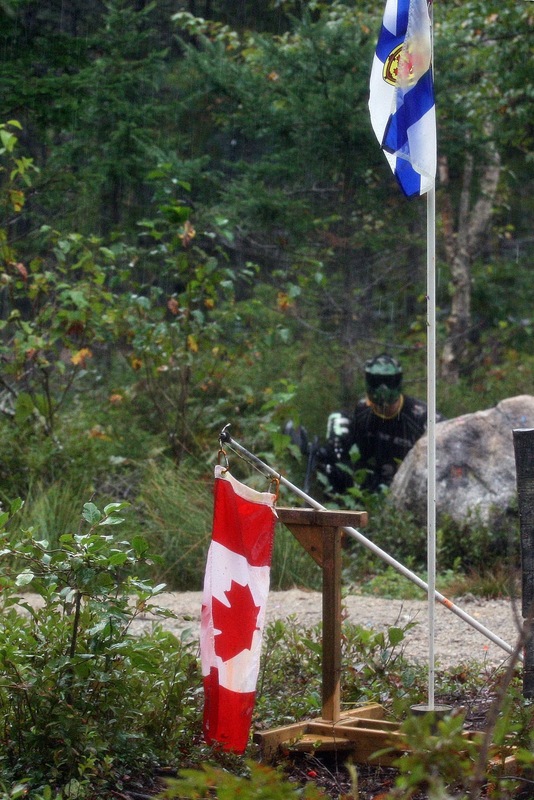 Many of the teams and players of the Atlantic Tactical Woodsball League (ATWL) were in attendance to play the league's official field and site of ATWL event 1. 2010 league champion Anthraxx attended in force to get a feel for the field and any changes that may have been made over the winter. 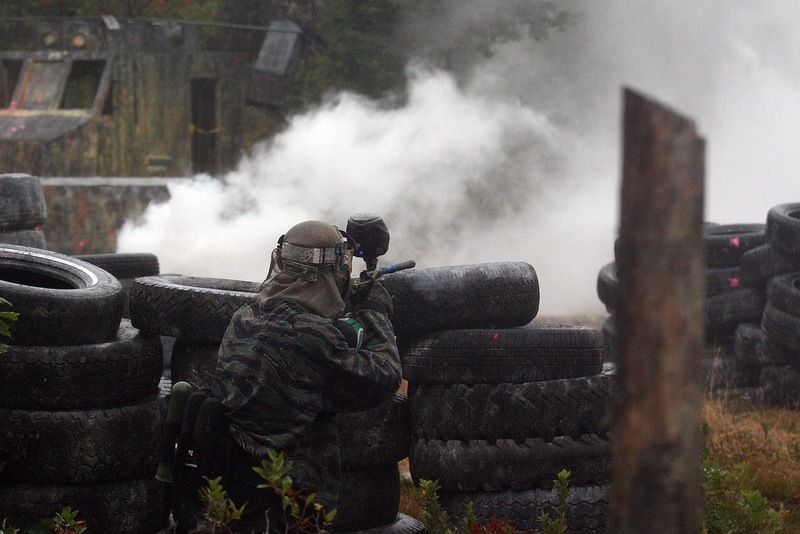 Players from Halifax City United, Nova Scotia Mercenaries, Mersey Road Predators, TACSat Paintball were also at the event, checking kill zones and choke points banging off the winter rust in preparation for event 1. Woodsball in Eastern Canada has never been stronger and the competition for the ATWL title has never been as fierce as it will be this season. In one month the excitement begins. 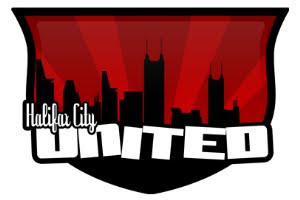 Halifax City United has confirmed they will take the final spot and play in the 2011 Atlantic Tactical Woodsball League. 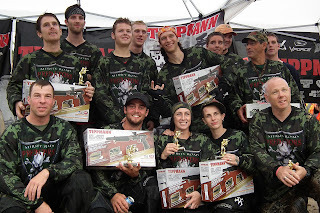 Halifax City United (HCU) is one of the best paintball teams in Canada, playing professional xball in the Eastern Conference of the Canadian Xtreme Paintball League. The 2011 ATWL season will be the best in the history of the league. The best woodsball players, the best xball players, and the best scenarios players all in the same league, playing head to head. This season the ATWL will be a true 'paintball' league and the action will be intense. The perceived lines between the various styles of paintball will be blurred like never before. The X7 Phenom Atlantic Tactical Woodsball League is happy to welcome TACSAT Paintball to the league for 2011. 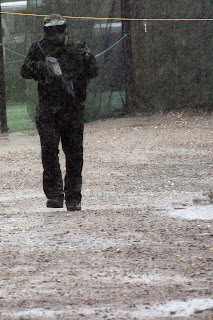 With the inclusion of TACSAT Paintball, only one opening remains for 2011, and it wont be available for long. The ATWL has room for only two more teams for the 2011 season. Please contact us right away if you want to enter your team. The season is coming soon and these spots wont last. The cost for the ATWL season is $100 player fees and $350 for league fees. A total of $450. For a ten person team the cost is only $11.25 per player, for each day of professionally organized competitive woodsball. Never before has so much fun and excitement, cost so little. The ATWL is excited to announce that Tippmann Sports, maker of the X7 Phenom and the world's leader in high-performance paintball products. 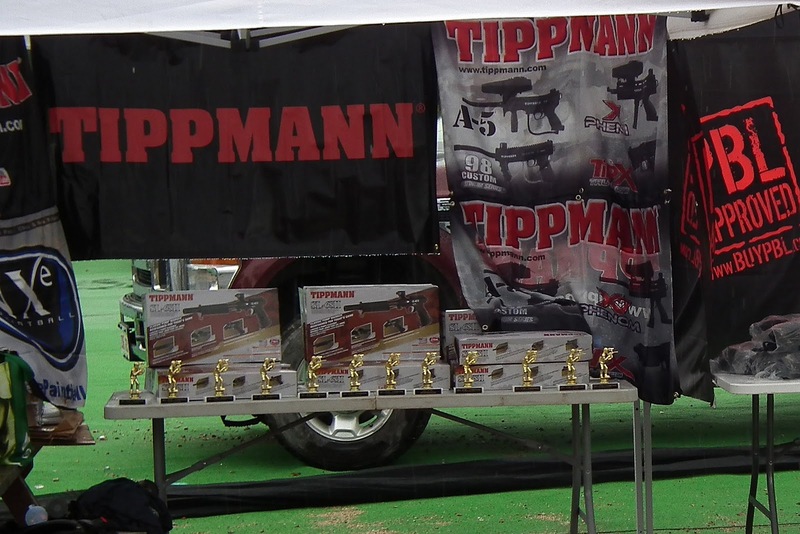 At Tippmann, we pride ourselves on producing high-quality, durable paintball markers and accessories at an affordable price, has partnered with the Atlantic Tactical Woodsball League. "Tippmann Sports wanting to partner with the ATWL is great news," said Bruce Johnston, league commissioner, "it helps validate the league and shows players that one of the giants of the paintball industry will be watching." As well as Tippmann, the X7 - ATWL also reached agreements within the last week with, PBL Action Sports in Montreal as the official equipment supplier. Also Mersey Road Paintball was named the official field of the X7 - ATWL. 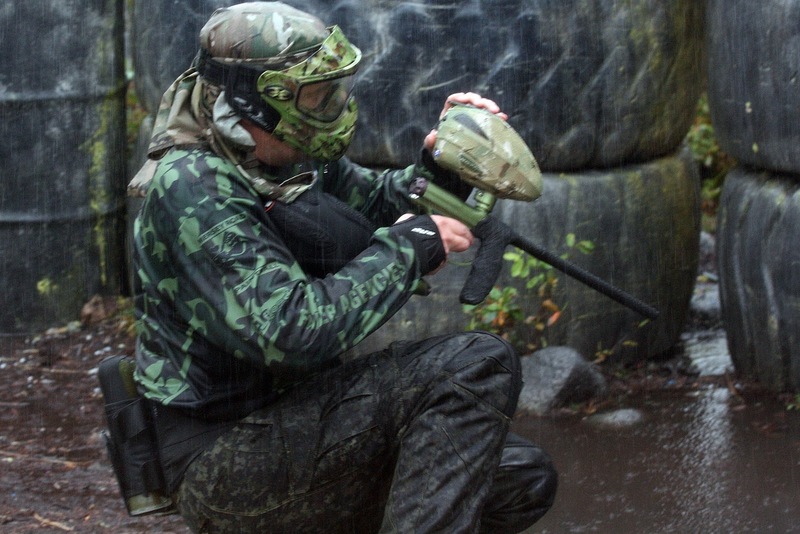 Mersey Road Paintball will play host to the season opener and the 2011 playoffs and championship. 2011 Tippmann X7 - Atlantic Tactical Woodsball League Schedule.